Then, of course, a kingdom, was lost. All because somebody didn’t have a nail. Had insufficient funds to buy a nail. Couldn’t be bothered to put the nail in the right place. Or couldn’t order his nail on time due to a top-heavy bureaucracy. For big things to work, small things are important. And big government tends to forget that. In times past if the Ministry of Environment and Tourism (MET) had decided to distribute a nail it would have taken a lot of paperwork and some months before the nail eventually arrived (several months after the sell-by date!). The issue wasn’t money but processes, and processes and piles of paperwork and receipts, and then phone calls and faxes that didn’t work and phone calls to people who weren’t there and then… oh no! A letter in an envelope that had gone to the wrong address. OK. You’ve got the picture. The MET had been aware of its shortcomings for some time, and decided to address them. The object of the exercise was to improve its human and financial capital. Adverts were placed to invite a human-resources and financial transformation specialist to assist the MET to open the drawers, dust out the bureaucratic cobwebs and usher in some interventions. The appointment of these experts resulted in significant progress being made towards the devolution of decision-making to the MET’s field offices and the reorganisation of its human resources. The devolution of financial decision-making with the creation of cost centres in all regions also brought about a morale boost to all those who had been waiting for our proverbial nail. Since then changes have been observed, with Ministry staff showing new vigour and enthusiasm for undertaking their tasks. The Financial Administration System Transformation (FAST) project was launched by the Permanent Secretary in September 2008, with the objective of supporting wildlife management and tourism by radically improving the financial administrative services. 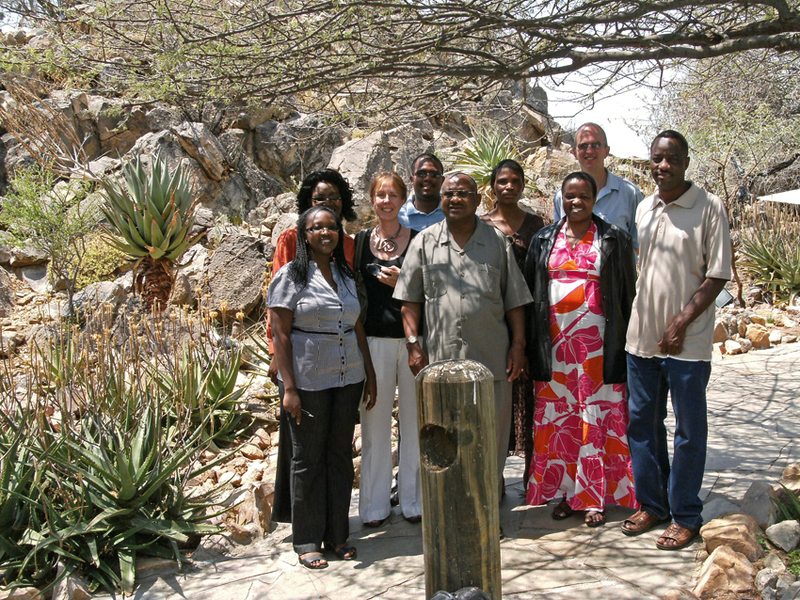 With members representing different functions within the Ministry, including the former Directorate of Parks and Wildlife Management (DPWM) and the Directorate of Administration and Support Services (DASS), the team sought ways to improve service delivery and to build financial management capacity throughout the Ministry. The FAST Team identified four key areas to address: de-concentrated budget control, efficient and effective procurement, fleet management and revenue collection. In addition, the team identified the key role of communication as a tool to institutionalise these changes, and included this as a goal in the four key areas. These interventions resulted in the creation of twelve cost centres, giving the Chief Control Wardens control over their budgets. The FAST Team helped them to draw up budgets in workshops with their management teams, and training was given to the Chief Control Wardens and their staff in Excel, including the design, interpretation and presentation of financial reports. The team succeeded in reducing the procurement lead time by delegating the approval level for purchase requisitions up to the value of $N10 000 to the Chief Control Wardens; and by eliminating the 60% of purchase orders that related to fleet maintenance from the procurement cycle. The outsourcing of fleet management was the most radical of the FAST team’s achievements. The MET is the first ministry in Namibia to do this. As a ministry, it is particularly dependent on having a safe, efficient, well-maintained fleet of vehicles. 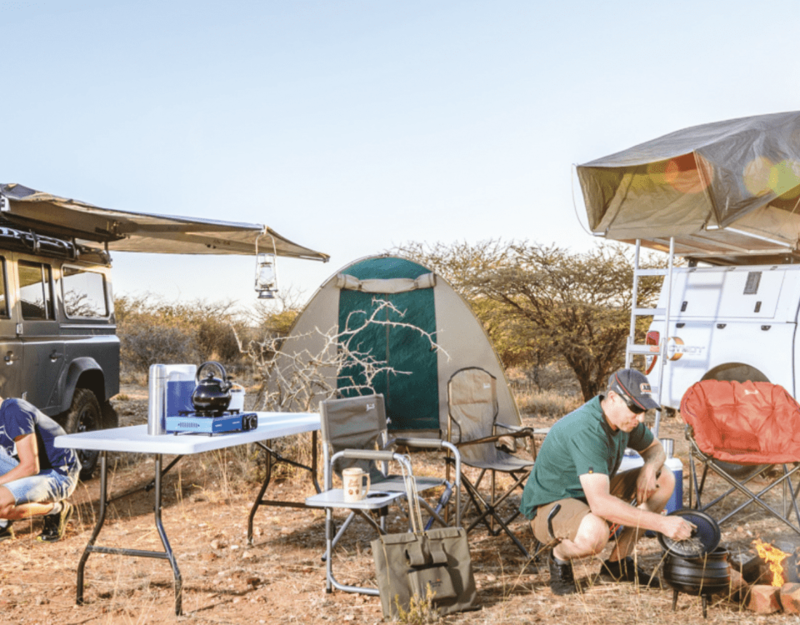 Anti-poaching units cannot operate without vehicles; animals cannot be translocated without reliable vehicles; and vehicles are essential to support staff living in remote stations. An unacceptably large proportion of the MET’s vehicles languished, being not suitable for use, because a service or spare part was needed, and the bureaucracy was such that it could take weeks or even months before the necessary approvals were given. The MET advertised a public tender for a suitable partner to manage the maintenance of their fleet, and Avis was chosen, having submitted the most economic proposal. 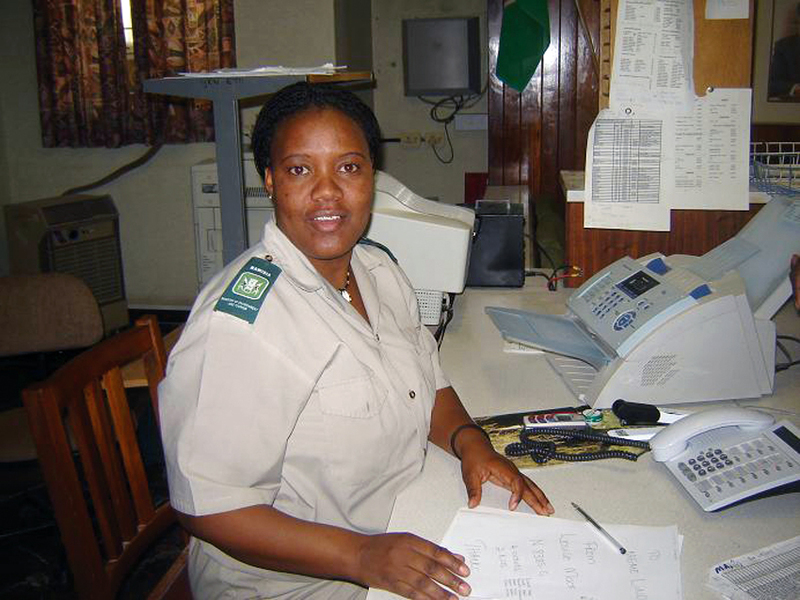 The first year with the company was a learning curve, which required a new way of working for the field staff, for the transport department in Windhoek and for Avis. The Avis staff provided consistently good support and flexibility to help MET, and the success of this initiative is in large part thanks to the excellence of the Avis service. A customer-satisfaction survey was conducted prior to the renewal of their contract, in which the respondents expressed their preference for the new system. They all rated the new fleet maintenance much more highly than the previous system. Not only has this system proved more efficient, but the savings in costs more than covers the Avis charge, and has therefore resulted in net savings for the MET. 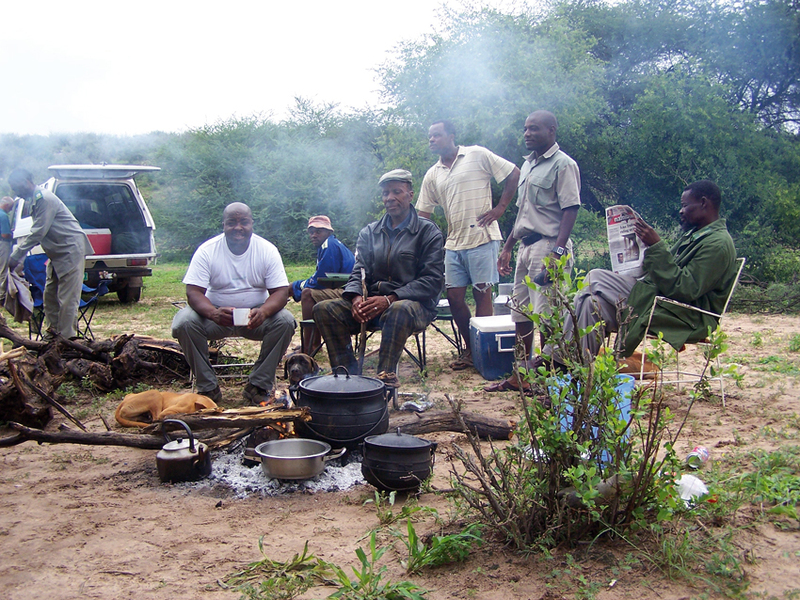 Finally, the FAST team initiated a feasibility study for the automation of revenue collection at Etosha, which showed that not only could revenue be substantially increased with an automated system, but that the increased control over entry and exit of all persons to the park would provide many additional benefits for anti-poaching and generally monitoring the traffic in and out of the park. The capital expenditure required for the implementation of the system was included in the capital plan prior to the disbanding of the FAST team. The FAST team, having substantially met their goals, was disbanded in August 2011 after working together for three years, but their legacy lives on with the continuation of the outsourced fleet management, the delegation of approval of purchases, and the active financial management of their cost centres by the Chief Control Wardens. As far as Human Resource Transformation is concerned, interventions included improvement in levels of discipline and work ethics; support to the MET’s Restructuring Process; development of a Human Resource Management Strategy; implementation of a Performance Management System, and develop a Career Planning and Training System. Typical hurdles that had to be overcome along the way to bring about change included aspects such as collaboration with the Office of the Prime Minister (OPM), the steering entity of Government’s HR Strategy. The Ministry’s commitment to HR initiatives was not always perceived as supportive. Some aspects of the ToRs were unrealistic and beyond the reach of the project, for instance there were sometimes delays in obtaining approval for the organisational structure and delays were experienced in getting key policies from the OPM. Other problems encountered had to do with low priority and limited funding given to training and resistance to the Performance Management System. Despite the odds listed above, the project and the MET can jointly celebrate several achievements today, especially issues such as the development of job descriptions, a recruitment strategy, HR Management Plan, Field Staff Training Manuals, Leadership Training Manuals, and a Training Effectiveness Measuring Tool. Other milestones reached are reviews of the HR Development Plan and the HIV/AIDS Policy, as well as the Competence Assessment Draft Report, to mention a few. Change is an ongoing process. In an organisation such as the MET, which has operated in the same way – under cumbersome bureaucracy – for many years, embracing change is frightening and difficult for many people; but it is also exciting and enabling. SPAN opened the doors of change, but it is the MET staffers who have walked through these doors, and who will continue to make changes to improve their procedures and provide the support that the people in the field need to do their jobs. 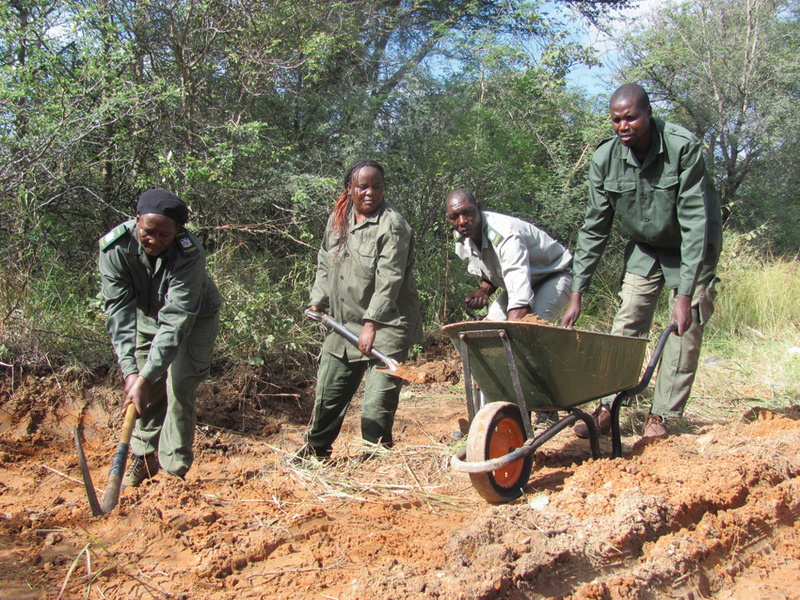 This article was originally published in the 2013 Conservation and the Environment in Namibia magazine.